Two stuffy English scientists, always looking to further their scientific knowledge, create a substance called Herakleophorbia, which in its fourth incarnation – known as Herakleophorbia IV – has the special ability of making things increase greatly in size. As the scientists begin experimentation on some chicks, the substance is misused by some “country folk” who don’t take it seriously and soon Herakleophorbia IV is running rampant throughout England and then across the globe, creating giant plants and animals that wreak havoc on the land and then the people. He read a bit fast for my taste. H.G. 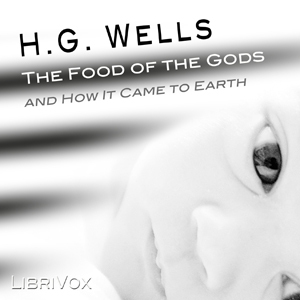 Wells, what else, science fiction that keeps you wondering as the story unfolds, and still surprises you in the end. The story is full of classic science fiction and questions of ethics and morality, it's just unfortunate the narrator's reading is fast paced and monotonous. Pretty interesting book. The reader is really very drone sounding though. He tries to offer character differences but still is very drone like. However, he gets through the story.